#OccupyConan: A New Level of Interaction for TV or a Lame Stunt? I just read this about #OccupyConan and thought we might learn by discussing it. When we talk about video and new media, we’re usually talking about web series. But I think we would be wrong to ignore the ways traditional television shows and networks are also finding new and interesting ways to connect with their online audiences. 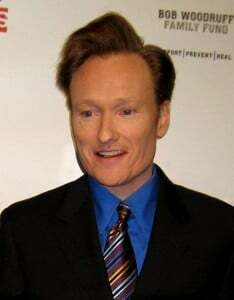 So, last night when I happened upon the very beginning of Conan, I knew I had to blog about their “OccupyConan” show today. For “OccupyConan,” the producers posted an entire episode of the show online and asked users to submit videos of their favorite parts, being as creative as possible. They then stitched together the video submissions in small blips to recreate the entire episode. Submissions included clay-mation, live action with green screens, puppets, videos from celebrities like Tina Fey and Joel McHale, and even an homage to Stick Stickly. At some parts, they showed the real show in a split-screen action, but most of the time they simply showed the user submissions. I agree. Many elaborate promotions like this one end up with just a few entries and the cost paid for the results are very high. Would you do this for your brand?